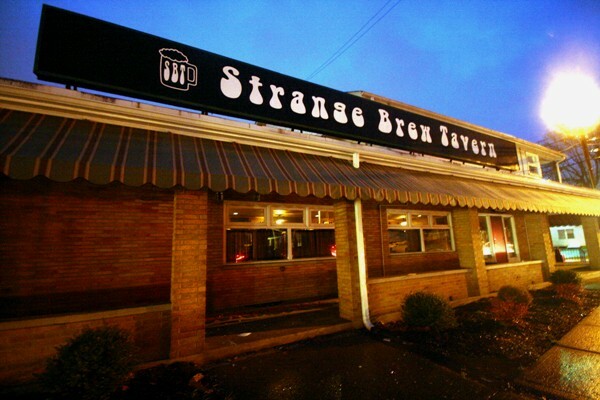 The Strange Brew Tavern is poised to take over the old Jelly Bean’s Southside Jam spot at 1996 S 5th Street. The former dive is now under a new crew, including manager Scott Anderson. Mr. Anderson was formerly the bar manager of the Tally Ho in Bethlehem and was instrumental in implementing their (formerly awesome) craft beer selection and mug club. They were hoping to open by this Monday, however a stop by last night indicated they’re not quite ready yet. Mr. Anderson noted that they would like to evolve into “something between a Tavern on Liberty and Mezza Luna.” Needless to say, there will be lots of craft beer on tap. We’ll update when the establishment opens. Nice, gotta check this out..